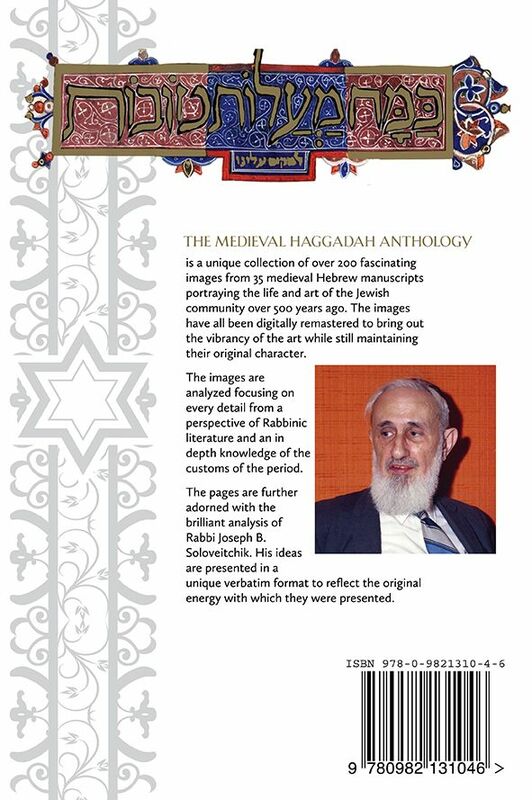 Haggadah with complete Hebrew text, an English translation, and a commentary of Rabbi Soloveitchik, adorned with an Anthology of restored images curated from multiple illuminated haggadah manuscripts. 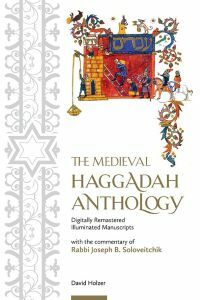 The Medieval Haggadah Anthology is a unique collection of over 200 fascinating images from 35 medieval Hebrew manuscripts portraying the life and art of the Jewish community over 500 years ago. The images have all been digitally remastered to bring out the vibrancy of the art while still maintaining their original character. The images are analyzed focusing on every detail from a perspective of Rabbinic literature and an in depth knowledge of the customs of the period. The pages are further adorned with the brilliant analysis of Rabbi Joseph B. Soloveitchik. His ideas are presented in a unique verbatim format to reflect the original energy with which they were presented. 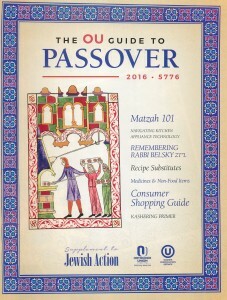 The Jewish Week: "A unique and glorious haggadah ... The illustrations, each thoughtfully identified in small type by its side, are stunning and charmingly document Pesach customs from the thirteenth through sixteenth centuries. Each page has a brief section of the haggadah in a handsome Hebrew typeface and then has the Rav’s commentary." 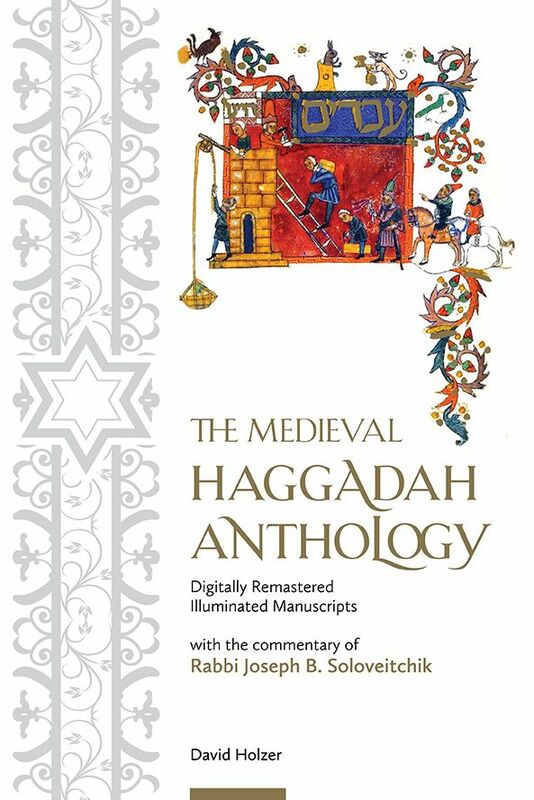 The Jewish Star: "Features some of the finest medieval art reproductions and manuscripts ... coupled with an absolutely beautiful user-friendly text ... an ideal haggadah for the Seder leader"
The Jewish Week: "Heimishe and inspiring, profound and accessible"